This volume contains a collection of articles on the profits and marketing of beekeeping products, with information on beekeeping, natural history, marketing, and more. Written in clear, concise language and full of interesting and practical information on keeping bees, this is a book that will be... read more of considerable interest to the modem enthusiast, and makes for a worthy addition to collections of bee-keeping literature. 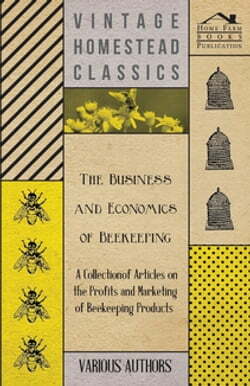 The articles contained herein include: 'Bees and Bee Keeping – A Plain and Practical Work'; 'The Honey-Bee – Its Nature, Homes, and Products'; 'The Practical Guide – A Manual for Modern Bee-Keeping'; 'How to Keep Bees for Profit'; end 'Every Step in Beekeeping – A book for Amateur and Professional'. We are proud to republish this antique book, now complete with a new and specially commissioned introduction on bee keeping.